It’s GO TIME for gun owners in Minnesota! The 2017 session of the Minnesota legislature kicked off a few days ago and NOW is the time for passage of MAJOR pro-gun reforms. 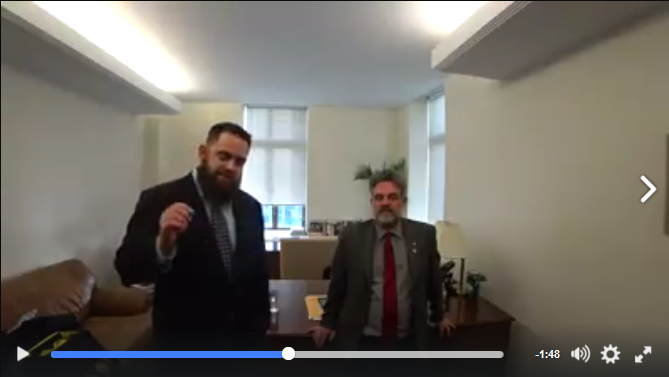 Watch the video below of MGR Executive Director Chris Dorr and Rep Cal Bahr revealing the big news for Constitutional Carry in Minnesota! When you’re done, please sign your petition in support of Constitutional Carry and share this email far and wide with all your pro-gun friends to get them involved in this fight!